Office Space - Neuilly sur Marne, Seine Saint Denis. 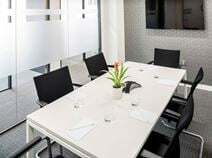 This business centre is centrally located in Neuilly-sur-Marne and provides a wide range of useful amenities including; spacious meeting rooms, 24-hour access, friendly on-site admin team, reception service and break rooms. Here, it is possible to take advantage of the furnished office-spaces at affordable rates, perfect for developing any kind of business. The office-building is centrally located close to several public transport links and maintains great access to surrounding cafés, bars and restaurants within the heart of the centre of town. The River Seine is only a 2-minute walk away which is a great location for enjoying the views and unwinding outside working hours.